Computation's Field Engineers and Project Managers provide fast and effective solutions for your business' IT equipment maintenance and upgrade requirements. Our experienced technicians are committed to arriving at your site within 4 business hours of a request, with the possibility of emergency requests being fulfilled on weekends or evenings. We maintain and service: servers, routers, switches and wireless access points, desktops, latops and tablets, printers, copiers and multi-functional devices, smartphones, and storage devices (external hard drives, NAS, and SAN). Computation understands that your objectives as a small or medium sized business are distinct. We can assist you in attaining those objectives with exceptionally creative and effective services and support. 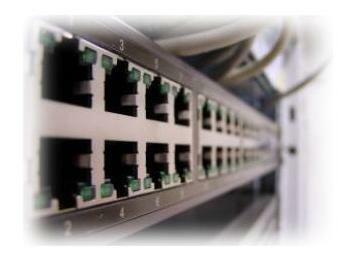 Whether you require consultation and design, a technician to capably and efficiently maintain your existing network and workstations, or a technician(s) to implement substantial upgrades or installations of new systems, we will strive to not only meet, but exceed your expectations for excellence in IT infrastructure. Computation's IT business services are available on-site, at your workplace, or in our shop. Computation's diverse expertise covers a comprehensive range of operating systems: Windows (server and desktop editions from 2000), MAC (OS9+), Sun and Linux platforms; software features: remote or VPN access, backup systems, anti-virus and security software, email and website design, scanning software, wireless networks; hardware including: IDE, SATA, SAS, SCSI drives in RAID configurations or otherwise, laptop screen and power jack replacements, RAM, CPU, power supply and motherboard replacements; brands: Lenovo, IBM, Dell, HP, Apple, Sun, Compaq, EMC, Netapps, Cisco, Acer, Asus, Epson, Okidata, Western Digital, Seagate, Hitachi, Netgear, Lexmark, Linksys, D-Link, 3Com, Nortel, Avaya etc. This range of experience ensures that we will offer you high quality, high value solutions tailored to your needs - solutions that few other firms can match. At Computation we specialize in providing intelligent, individually tailored IT solutions and make the long-term satisfaction of our clients our overriding objective.